We are proud to partner with the organizations below! They work closely with the young men we serve by investing in them daily. They help us to identify the young men who will receive a suit and assist us in facilitating the suit fitting and gifting events. Our mission could not be possible without these incredible organizations. Boys & Girls Clubs of Greater Memphis (BGCM) is all about creating opportunities for children through after-school education. We serve more than 4,000 youth between the ages of 6 and 18 by providing the fun experiences and critical guidance kids need to build bright futures. The CodeCrew Code School is a hands-on class designed to train young adults aged 16 to 30 to be entry-level software developers within a six-months. Students work in a small classroom setting and use real-word technologies to learn the fundamentals of coding, app development, the leadership, and the life skills needed for a successful career and job market competitiveness. 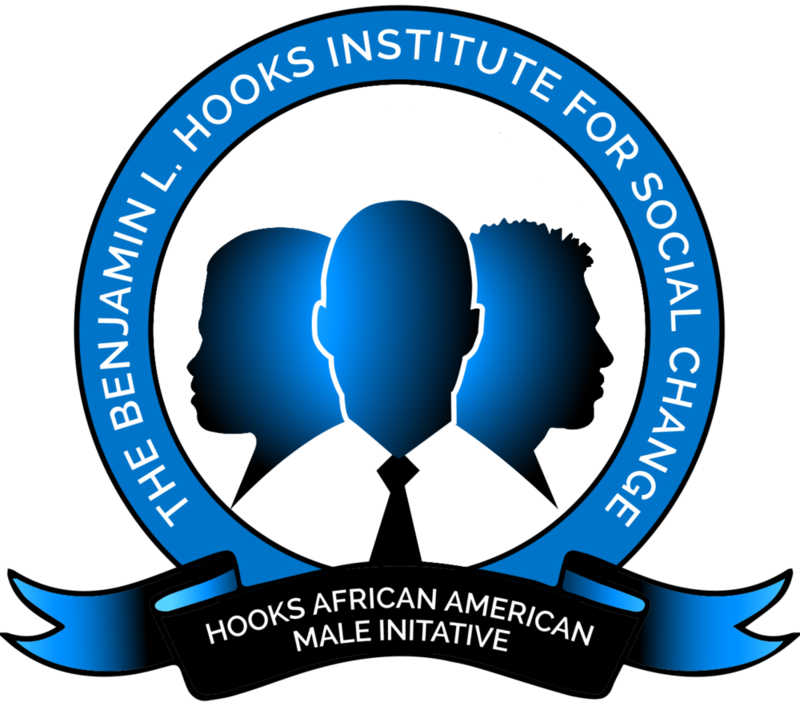 The Hooks African American Male Initiative (HAAMI) on the University of Memphis campus focuses on improving the retention and graduation rates of African American males attending the University of Memphis by enriching each students' academic, personal, and social development. Memphis Athletic Ministries (MAM)’s mission is to help build godly youth in under-resourced neighborhoods by teaching them to love God, love others and love themselves. Our vision is to develop youth into Christ-centered, productive adults, positively impacting their families and neighborhoods. The Education That Works program at Memphis Catholic provides a unique and affordable alternative for urban families who seek a private, college-preparatory school for their sons and daughters. With the help of our corporate sponsors, Memphis Catholic offers students from low-income families a quality education and real-life work experience that are designed to prepare them for college and successful careers thereafter. Basically, the ETW is a simple equation: Students + Sponsors = Success. Since the beginning of the Education That Works program at Memphis Catholic in the 2006-2007 school year, four of the five graduating classes have had a 100% graduation rate, and for the past three years, over 60% of our seniors have received academic scholarships to college. In a city where nearly 30% of public high school students drop out, much less attend college, 72% of ETW graduates who have gone to college are currently enrolled and on track to graduate in four years. ETW also significantly impacts the success of our sponsor companies. In the Memphis metropolitan area, only 23.7% of the population graduated from college, and it is estimated that between 2010 and 2018, 68% of all new jobs created will require a college degree. There are many short-term benefits for the sponsor firms, but the biggest return on their ETW investment is the demonstrable contribution ETW is making in grooming the future workforce in Memphis. Memphis Mayor Jim Strickland is investing in the men of Memphis through his Manhood University program. The five-week soft skills training program gives gives some of the lost men in our City a chance to regain their footing by teaching them job readiness and soft skills training. The training takes place at seven area churches throughout the City of Memphis. The Man Up Project is a program dedicated to providing male role models and knowledge of fundamental skills in the lives of teenage males 13-18. Shelby County Schools Department of Alternative Schools is participating in a 3-year grant funded by the U.S. Department of Education, Office of College and Careers through Career and Technical Education to support the Juvenile Reentry Education Program titled Project STAND (Student Transition Accelerations and NCRC (National Career Readiness Certificate) Demonstration). Project STAND's focus is on serving youth enrolled at HOPE Academy, located inside of Juvenile Court and who are transition students with G. W. Carver. Students participate in an intensive program which includes hands-on career exploration and culminate in an industry- recognized credential, college-and career-readiness work experience and job placement services. Additionally, students can take advantage of support services and job training options for all participants to build life long opportunities for employment and reduced recidivism rates of the youth in Memphis, TN. Project STAND would like to thank you for partnering with us! This partnership allows students to take advantage of support services, mentoring, job shadowing and job training options. Community partners such as yours, provides a positive opportunity for these students to become better decision makers and actual contributors to the community by having hands on approach to support career readiness. Ultimately, Project STAND has a goal for our participants to build life long opportunities for employment. STS Enterprise Corporation is a premier leadership 501(c)(3) non-profit organization based in Memphis, TN that focuses on the betterment & empowerment of youth and college students. STS Enterprise programs include: Bi-weekly training sessions, 1 on 1 and group mentoring, college tours, community involvement, Corporate Job Shadowing, Personal/Professional Development, Public Speaking as well as our “Rebirth of the Gentleman and My Brother’s Keeper initiative, just to name a few. We truly believe that through collaboration with organizations who have a desire to see our youth and college students excel, we can make a tremendous impact in the city of Memphis and nationwide. Tiger PAWS encourages the student-athlete to develop and pursue career and life goals. A large part of the PAWS Program focuses on career exploration, development, and networking. Career exploration begins the minute they step on the University of Memphis Campus. The PAWS Program encourages student-athletes their freshman year to begin thinking about their interests and skills and build on those qualities to guide the them through the following years as they explore their interests. From their freshman year to their senior year, student-athletes have the chance to participate in multiple career developing opportunities. By working with our own departments on campus as well as with the local community, the student-athletes are able to gain a better understanding of the different opportunities for their future. If you lead an organization that helps men to prepare for their futures, we want to hear from you! We'd love to discuss ways that our organizations can partner to ensure we help your men feel confident and credible as they head into their futures.